BREAKING: Below is the Devil’s official statement with regard to the recent developments in the Corona Impeachment Trial. “Mainit na pagbati sa inyong lahat! Ako ay labis na nalulungkot sa pangyayaring ito sa Senado. Nitong mga nakaraang buwan ay tinangka kong itago ang multimilyong dolyares ni Chief Justice Renato Corona sa publiko at lalung-lalo na sa impeachment court. Gayunman, ako ay nabigo. I’m still in a state of shock. Naghahanap pa rin ako ng kasagutan. Bakit kailangang ipatawag at iharap ng Depensa sa paglilitis ang matandang babaeng ‘yan? To say that I’m upset is an understatement! Gusto kong pumatay. With defense lawyers like that, who needs the prosecution? 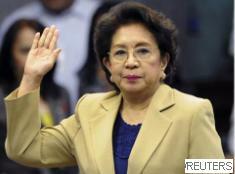 To Ombudsman Conchita Carpio-Morales, you ARE pathetic! Ang tanda-tanda mo na, nagpapagamit ka pa sa kabutihan! Eeew. Magtirik ka na ng kandila! Ipagdasal mong huwag tayong magkasalubong sa mall, sa NAIA, sa Korte Suprema, o sa Serendra, tatamaan at tatamaan ka sa akin! Ngunit hindi rito nagtatapos ang laban. Hindi ako susuko. Gagawa ako ng paraan upang lituhin ang publiko sa mga susunod na araw. Tatapatan ko ang PowerPoint report na ‘yan ng Audio-Visual Presentation in 3D! Lintek lang ang walang ganti! P.S. Kinumpirma rin kahapon ni Derek Ramsey na break na sila ni Angelica Panganiban. At least, hindi ako na-zero for the day. Love is overrated! You guys made the right decision. Yehey! Ombudsman Conchita Carpio-Morales revealed that Chief Justice Renato Corona had 82 accounts in five banks with at least 10 million dollars in “transactional balances.” Corona has since denied the allegations saying the accounts belonged to his younger brother, Iggy Corona. Citing evidence from the Anti-Money Laundering Council (AMLC), the Ombudsman revealed that Chief Justice Corona had 82 US dollar accounts with at least $10 million in bank deposits. And all he could afford were leaking condo units?? 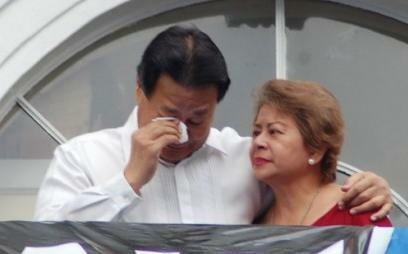 According to AMLC, Chief Justice Renato Corona had 82 dollar accounts. And in a shocking turn of events, China declared it owned those dollar accounts! The initial testimony of the Honorable Ombudsman is quite unfortunate, if not very malicious. I don’t know how she came up with her own mathematical equation. She made a hodgepodge out of the accounts, making her numbers chaotic. The number of accounts alone is at best ridiculous. Her PowerPoint diagram is a lantern of lies which only messed up her presentation, contrary to what some believe now as damning evidence. Either she does not know what she is talking about, or is purposely misleading the Impeachment Court and the public. Is she even privy to how the AMLC arrived at the bloated numbers? We will debunk all her bloated numbers. Indeed, this is another LRA hoax! President Aquino joked that he would consider joining the priesthood in 2016. Ok, we get it. You’re single again. Enjoys the company of kids: Check! Ok, you can be a priest! Actress and incumbent Parañaque City Councilor Alma Moreno is reportedly running for senator next year under Lakas-CMD. I don’t know which was more shocking: that Alma Moreno’s running or that Lakas-CMD’s still existing. 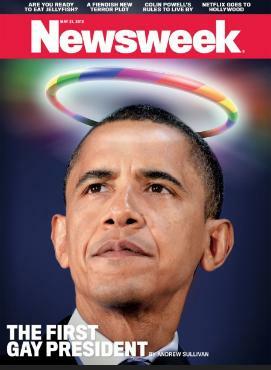 Following his recent statement supporting gay marriage, US President Barack Obama was named “the first gay president” by Newsweek magazine. Miriam Pacquiao Quiambao is disappointed. 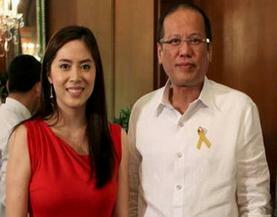 A popular lawmaker is reportedly dating a young actress. They’d actually make a beautiful couple. Hint: Combine lawmaker’s initials and you get a woman’s name mentioned in an OPM. Young actress’ initials? A school subject. mister heckler, di ba sabi mo, laker’s forever ka? Ataya nimo PH oi, igo man gyud kaayo nimo. hahaha! 82 accounts in five banks? are they not lying? i mean, the AMLC? track record ng mga bataan ni pnoy: 8=3; 45=5; 82=????? 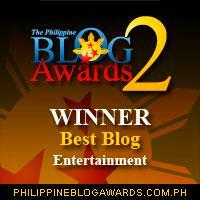 senior, dapat ang tanong mo ay: are they not lying AGAIN? oh Derek is married eh? hmmm..
Lawmaker- toyang, anna, ligaya, narda, binibini rocha??? Politics is the art of passing taxpayers money from bank to bank until it disappears. maybe the young actress’ initials are P.E.? thanks for the good laugh :)))) especially that letter from the Devil…..precious!!! Si President, ,mag-pari? Masamang biro yan. Napakasama. Or ayaw lang niyang ang palabas na may babae siya kasi magpapari. Hindi kaya may tinatakpan tayo dyan? Sana payagan din ni President ang gay marriage sa Pilipinas para mabansagan din siyang “Gay President” ng Newsweek. Bongga yan! he does not need that title…he already is.